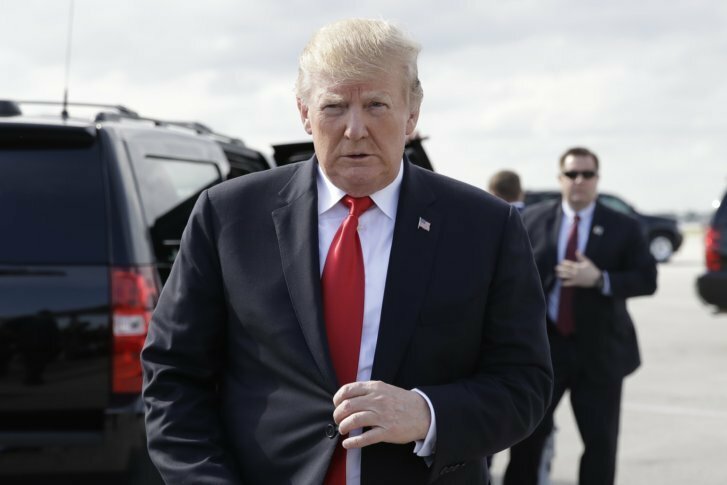 President Donald Trump celebrated a summary of the findings Sunday, claiming it "was a complete and total exoneration," even though the report did not reach a definitive answer on whether he obstructed justice. WASHINGTON (AP) — President Donald Trump claimed vindication after nearly two years of unrelenting investigation on Sunday, seeing “complete and total exoneration” in the Justice Department’s account of special counsel Robert Mueller’s findings and signaling he was eager to go on offense in the political fight ahead. Trump spoke shortly after the Justice Department released a letter saying special counsel Robert Mueller’s investigation did not find evidence that Trump’s campaign “conspired or coordinated” with Russia to influence the 2016 presidential election. Meanwhile the president’s aides breathed a collective sigh of relief upon reading the description of Mueller’s findings. Even if not ensnared in the probe, many have faced public criticism and professional risk as the investigation lingered. Trump’s victory lap came after he kept a low profile over the weekend, heeding the advice of his lawyers, who warned him against tweeting about the probe before details were released. Trump spent Sunday golfing with Sen. Lindsey Graham, R-S.C., former Rep. Trey Gowdy, R-S.C., and his acting chief of staff, Mick Mulvaney, also a former South Carolina congressman, according to a White House official, as aides sought to keep the president busy during the tumultuous weekend. A larger pack of aides than normal — including press secretary Sarah Sanders — traveled with Trump to Mar-a-Lago to manage any fallout. Trump was briefed on what his supporters would say on television throughout the weekend; aides hoped the president might stay quiet if he felt his messages were getting out even if he wasn’t delivering them himself.